파리, 프랑스의 아발론 호텔 파리 가르 뒤 노르 | 호스텔월드에서 예약하세요. Conveniently located, Hotel Avalon is a three star hotel offering high quality services and amenities at a great value for business and leisure travelers alike. 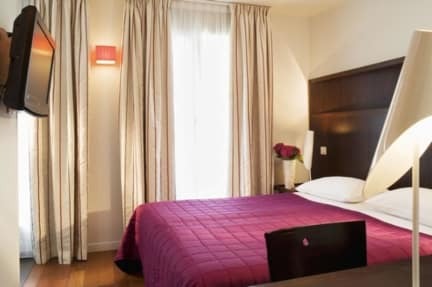 Only a few steps from Gare du Nord Station while Montmartre and Sacre-Coeur are just around the corner. All the other major sights in Paris are a short Metro ride away (like the Latin District, the Parisian airports..) Next to the rue de Maubeuge, you will appreciate the local ambiance, the commercial street with the baker, the butcher etc... More than that, you will be near the livey atmosphere of the Rue des Martyrs. 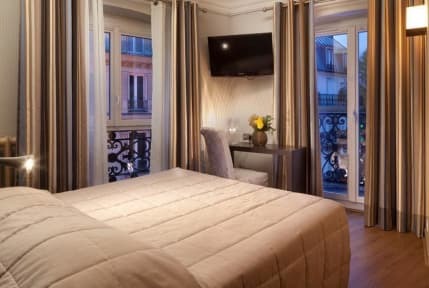 From the hotel, you will be able to reach by foot Opéra and the Palais Garnier. The Avalon offers you few different types of rooms. You will be able to choose the one that's fitting for you: the double room, the triple or quadruple room, privileged room etc..